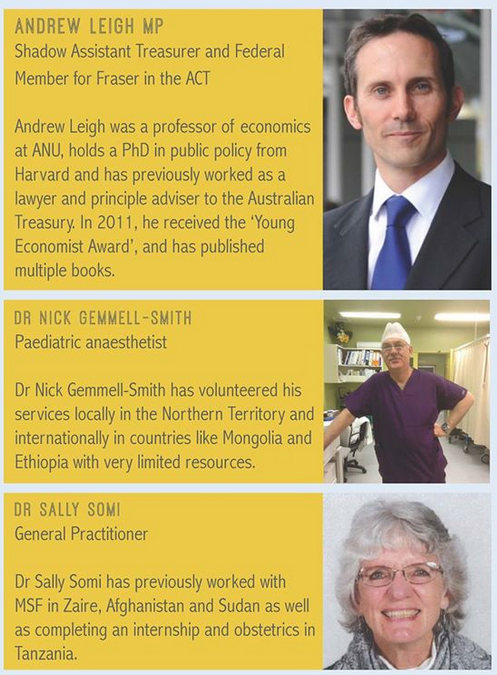 Recently we had the privilege to record a talk hosted by the ANU Medical School Global Health Committee EnSIGN. The talk was on effective altruism, a highly interesting and revealing topic, particularly for the medical profession which aims to improve health and well-being of every member of society. How can we better utilize the massive funding and donations to achieve the noble goal of alleviating suffering around the globe? The talks begins by exploring the experiences and perspectives of the esteemed panel members who discussed their diverse and fascinating stories which enthralled the audience, comprised of both medical and non-medical members. Discussions ranged from volunteering effectively and the positive and negative aspects of volunteering to better utilisation of donations and delivery of services to local communities. What’s more valuable your money or your time? NGOs: the more the merrier? We would like to thank EnSIGN for organizing such a fascinating and insightful event that will undoubtedly provoke deep and meaningful conversations well and truly after this event. http://www.givewell.org is the website of an organisation that was mentioned numerous times throughout the talk. GiveWell assesses effectiveness of charity organisations, rating them on the potential to scale up and the impact that they create. However, it must be noted that there are several reasons for a charity scheme to fail, such as bad weather or unseen circumstances. As such, is it beneficial to rate these charities on the same basis as everyone else? Through a hands on, grassroots level, some organisations have earned valuable lessons that cannot be assessed, demonstrating the complexity of this issue.